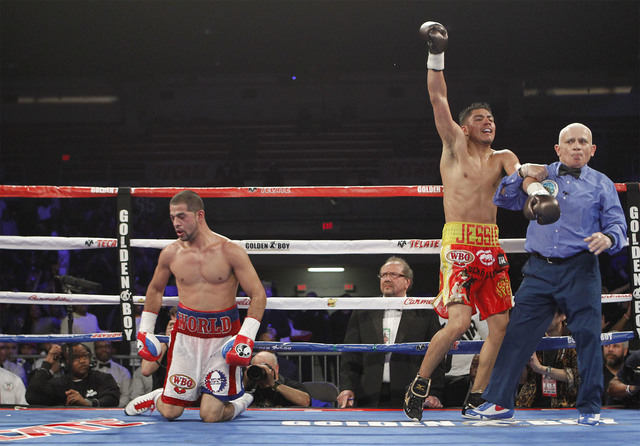 Sadam Ali of Brooklyn and Johan Perez of Venezuela on Friday successfully made weight for their welterweight bout Saturday at Casino Del Sol in Tucson (on ESPN2). Ali weighed the 147-pound limit and Perez came in at 146.6 pounds. Ali, who is ranked No. 8 by one governing body, is 24-1 with 14 knockouts. 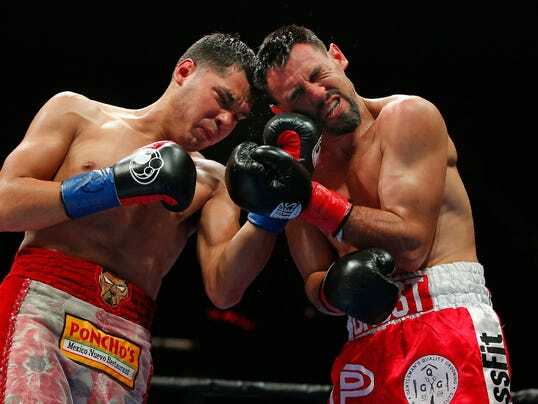 His only loss came to Jessie Vargas, who stopped Ali in the ninth round in a battle for a vacant world title in March 2016 in Washington D.C.
Perez is 22-3-2 with 15 knockouts. It’s been three years since lightweight world champion Jorge Linares graced the United States with his presence in the ring, but that will change Sept. 23 when Linares defends his title against No. 1 contender Luke Campbell at the Fabulous Forum (on HBO). Linares, of Venezuela, can’t wait. Campbell, of England, won the gold medal at bantamweight in the 2012 London Games. The 29-year-old southpaw is 17-1 with 14 knockouts. “I’ve worked my way from Olympic champion to the No. 1 spot in the WBA and WBC rankings, and I feel now is the time to take my chance,” Campbell said. Linares has not fought in the U.S. since knocking out Ira Terry in the second round in August 2014 at StubHub Center. Campbell has never fought outside the United Kingdom. Jermall Charlo of Houston accomplished a lot at junior middleweight. He won a major title and successfully defended it three times, but it’s time for him to explore the opportunities at middleweight. Charlo (25-0, 19 KOs) will take his first crack at 160 pounds Saturday when he tangles with Jorge Sebastian Heiland of Argentina underneath the Mikey Garcia-Adrien Broner junior welterweight main event at Barclays Center in Brooklyn (on Showtime). Charlo, 27, is anxious to get going. Heiland (29-4-2, 16 KOs), who knocked out former middleweight contender Matthew Macklin in the 10th round in November 2014, believes perhaps Charlo has bitten off more than he can chew.